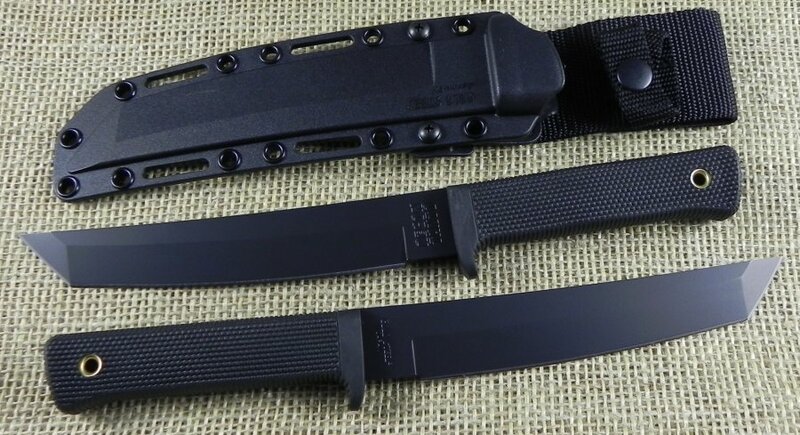 Cold Steel New Version Recon Tanto. 11 3/4" overall. 7" AUS-8A steel black epoxy powder coated tanto blade. Black checkered Kraton handle with lanyard hole. Black Secure-Ex sheath.